Happy Friday! Can you believe it's already December and the countdown to Christmas has begun? I certainly can't! This year FLEW by! Yesterday was a quite a day (to put it nicely) and it kicked the Christmas spirit right out of me. 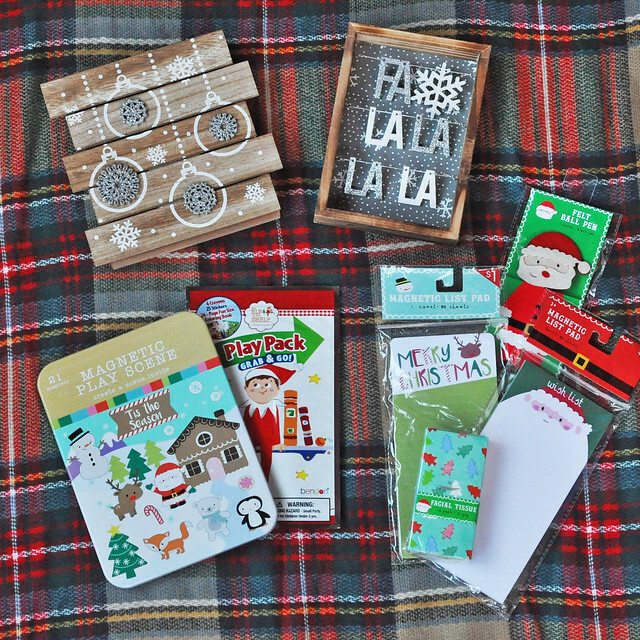 I'm hoping this roundup of my current Christmas favorites does the trick! Okay, so I don't actually love snow. It's pretty to look at, but I hate driving in it and I hate the cold that comes with it! But it is fun for, oh, five minutes! 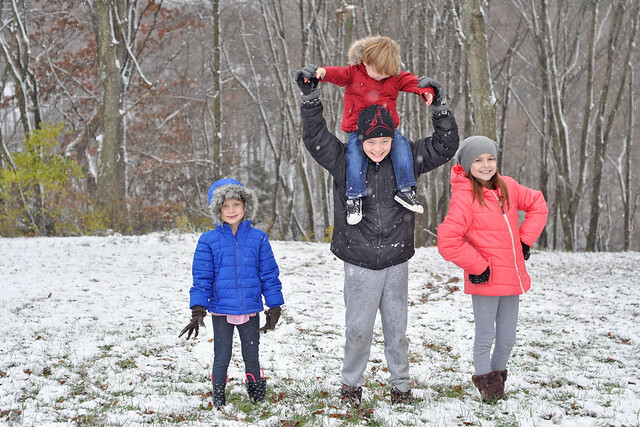 We had our first snowfall of the year a few days before Thanksgiving, then it went back to 60+ degree weather. The colder weather returned today and snow flurries are in the forecast. It SHOULD snow in December, but after Christmas it can disappear until next year!!! Who else is addicted to the Target Dollar Spot? Can't stop, won't stop! They have the BEST holiday items! I can't make it past this section without spending $20. Well played, Target, well played. This sweet boy of mine is loving all the holiday decor! We're not even a quarter of the way done with our decorating so he's in for a big surprise. 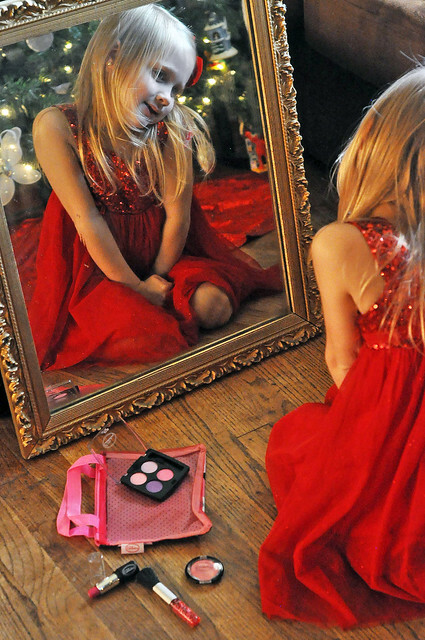 Christmas is so much fun when you have little ones around. They just take in everything with so much wonder and joy! We get a new personalized Christmas ornament for our tree each year. I love adding to our collection! 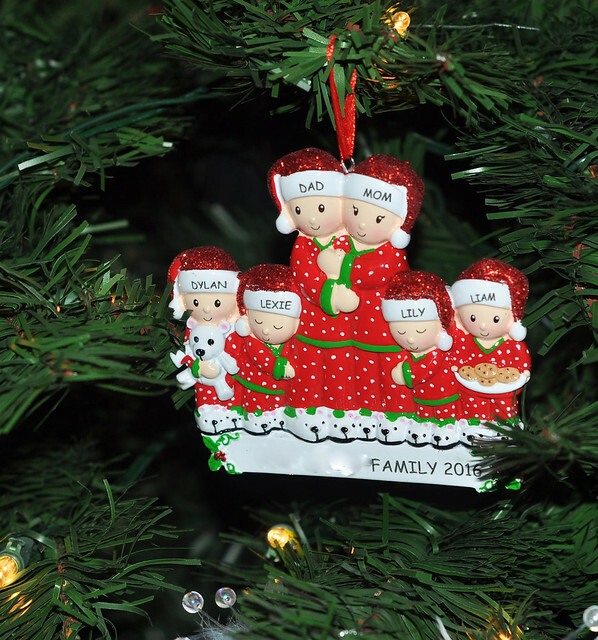 This year we got an adorable family ornament from Personal Creations! They have so many cute choices and I love how you can build a family and personalize it. I think this is our new go to for our family ornament and I love the padded storage bag that it arrives in. It's such a great addition to our collection of ornaments on our Christmas Tree! One of the few things that I collect is coffee mugs and tea cups. My collection is a bit out of control so I have to pack away the seasonal mugs after each holiday. I love pulling out my Christmas mugs each year and I always add one or two new ones to my collection! 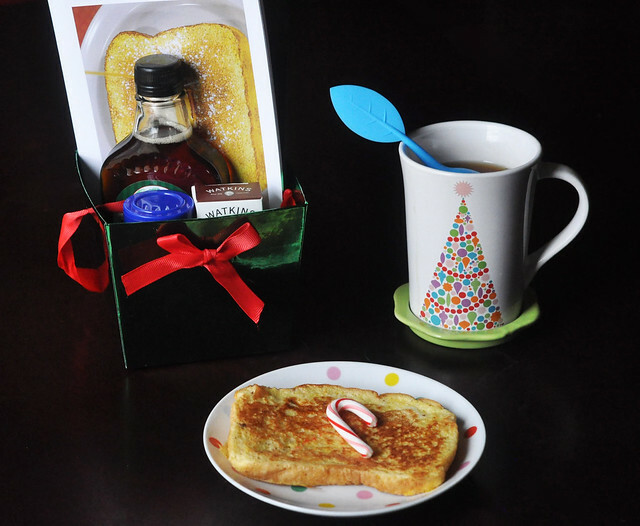 How sweet is that gift basket that I received from French Toast for National French Toast Day on Monday?!? I collaborated with them in September and I was so surprised when this basket of goodies arrived in the mail! Of course, we celebrated by consuming way too much french toast! 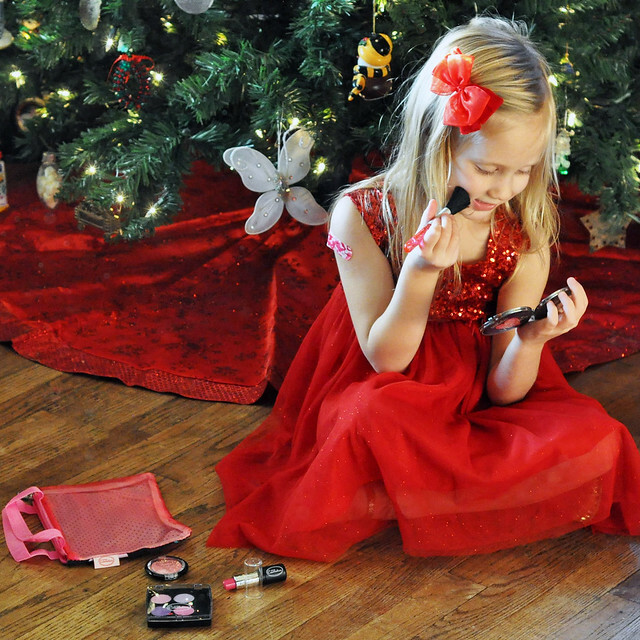 Lily received the sweetest mess-free, no transfer pretend makeup set from Little Cosmetics! She absolutely loves it and has been carrying it around for days. You can purchase the makeup individually or purchase the products in gift sets. This set is great for OT, has lots of textures for kids who love sensory play and is the ultimate pretend play toy for a little girl! DISCLOSURE: Lily is loving this set gifted from Little Cosmetics and we are sharing our love for the product with a blog feature! I absolutely loved Gilmore Girls: A Year in the Life and I'm ready to watch it again! 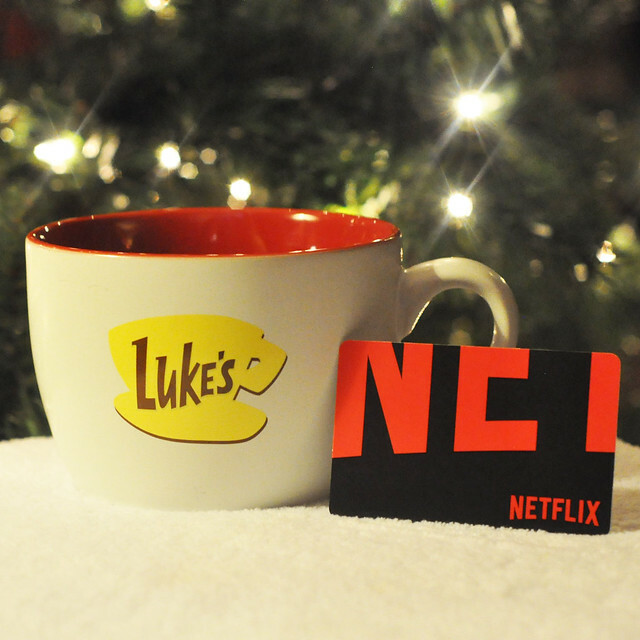 Did you enter my Netflix subscription giveaway? HURRY...it ends this weekend! What are YOU currently loving right now? I hope you all have a fun and festive December weekend! 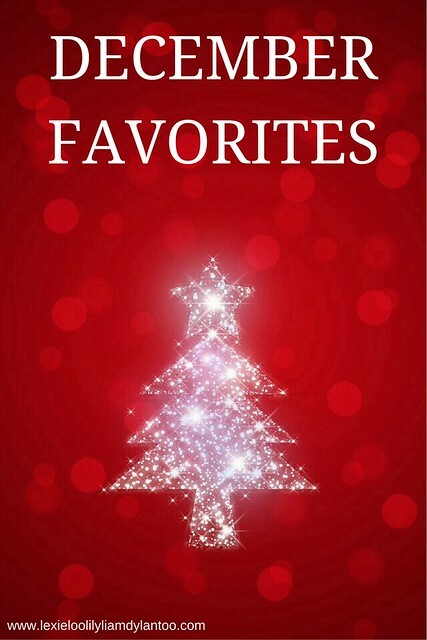 Your love for the Christmas holiday makes me so happy! :) I agree about snow. I grew up withe so much snow in the winters. Now that I live in NC we don't usually see it until late january or February and when we do my hubby basically tells me when can't go anywhere because although I know how to drive in it most people here don't and he wants us safe. We do get snow here and people still drive terribly! I try not to go out in it unless I absolutely have to. Liam is the cutest little elf! I love that ornament - Personal Creations is a great site! 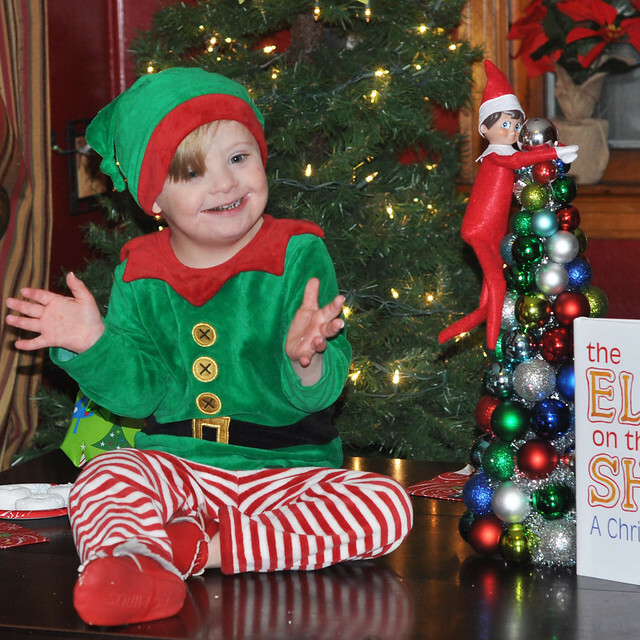 Oh my that is a cute elf! And I'm not talking about Christopher. His sweet smile just puts a smile on my face. So maybe I just haven't noticed and you did this forever ago but did you redesign the blog? I love your header! I'm always the last to notice things and I usually read on my phone so if you did it a while ago, forgive me :) But it looks great, whenever you did it! Thank you, Cat! Yes, I did it about a year ago. I know blogs look so much different on mobile devices, though. I'm already thinking of another change! Oh the snow pictures!!!! LOVE! 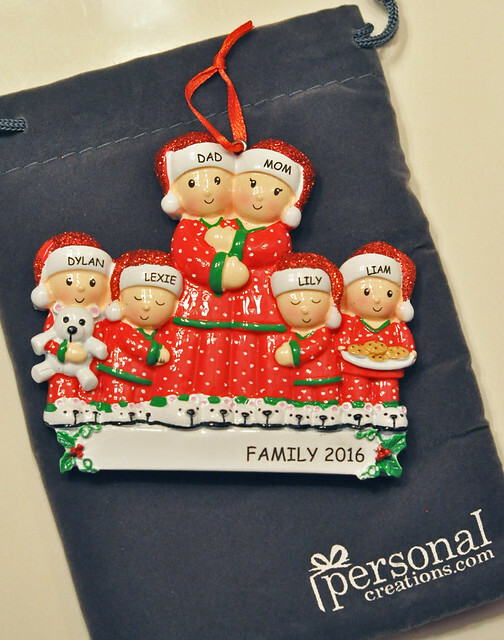 We're big ornament lovers, and personalized ones are even better! That's exactly how I feel! It's freezing cold and snowing right now and I'm not happy about it! The snow is one of my favorite things! It's just so pretty! And it's gets us outside in the winter! Thank you! I definitely agree that it's gorgeous, but we all hate the cold weather. That being said, I do make my kids play outside each day! LOVE that little cosmetics set so much! I bet my Emily would be a huge fan too. That ornament is SO cute too. And SNOW! Wow, I don't think I am ready for that. Thank you so much! Yes, I bet she would. She seems to be a lot like Lily! 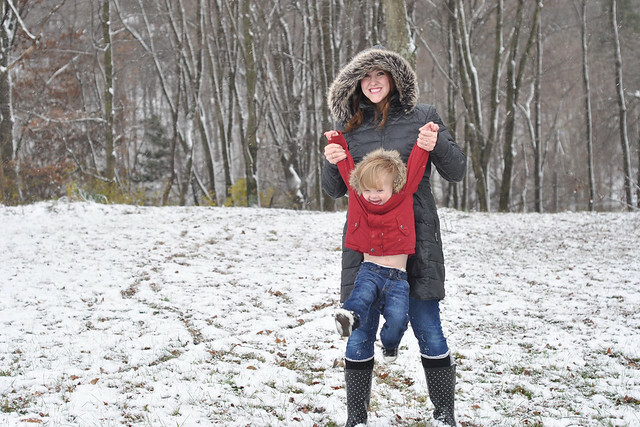 I am not a fan of snow but Connor loves it so that means I have to love it. Haha! It's definitely more magical with kids around. Luckily, mine only love it for about 20 minutes! 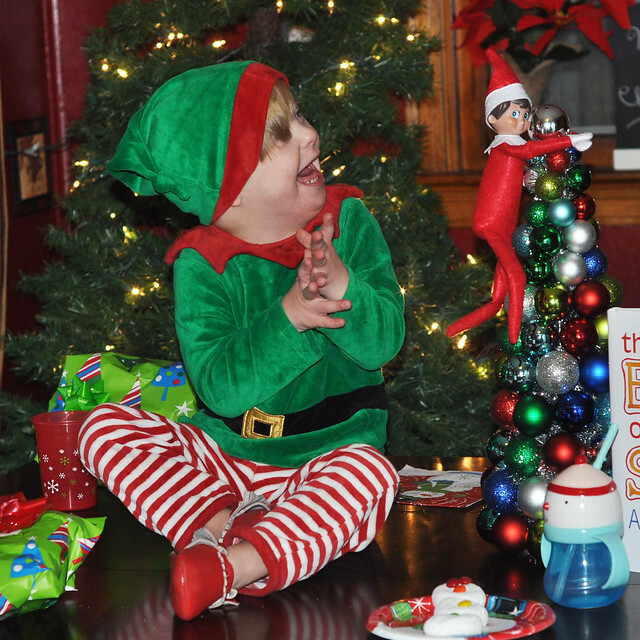 Love the elf pics so much:) We're still waiting for snow! I totally want some ASAP. Love all of the Christmas stuff!!! Thank you, Tif! I hope you get your snow!